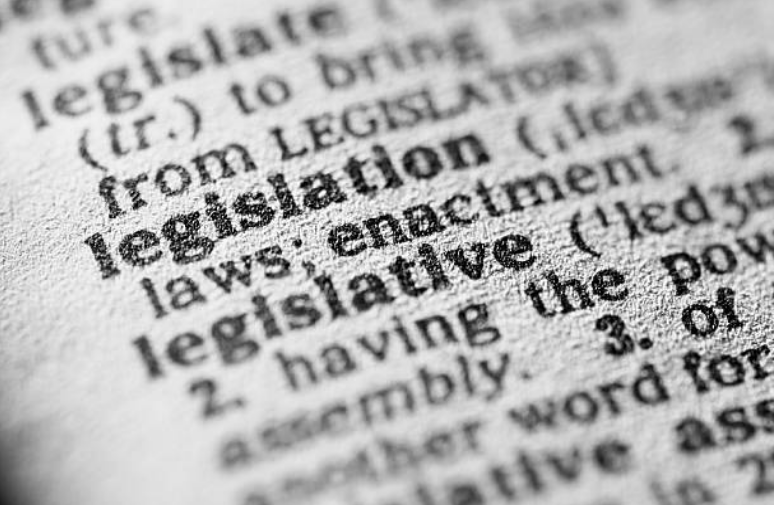 In this edition of our regular update on legislative developments in employment law, we focus on the provisions of the Data Protection Bill 2018, which is intended to give effect to the General Data Protection Regulation. We also summarise a range of new legislation providing for matters including the extension of maternity leave entitlements in the event of premature birth, the restoration of public servants’ pay, and the introduction of rules to facilitate the operation of the Mediation Act 2017. Data Protection Bill 2018 – Bill to give effect to the General Data Protection Regulation. Trade Union Representation (Miscellaneous Provisions) Bill 2018 – proposal to require employers to recognise unions for the purposes of collective bargaining. Public Service Pay and Pensions Act 2017 – restoration of pay and pensions for public servants. Social Welfare Act 2017 – entitlement to maternity leave and maternity benefit extended in the event of premature birth. District Court (Mediation) Rules 2018 (SI No 9/2018), Circuit Court Rules (Mediation) 2018 (SI No 11/2018), Rules of the Superior Courts (Mediation) (SI No 13/2018) – rules introduced to facilitate operation of Mediation Act 2017. European Communities (Seafarers) Regulations (SI No 15/2018) – seafarers included within scope of collective redundancy and transfer of undertaking rules. The purpose of this Bill, which was introduced in the Seanad on 30 January 2018, is to transpose the General Data Protection Regulation (Regulation (EU) 2016/679, the ‘GDPR’) into domestic law. The Bill gives further effect to the GDPR in a number of areas by way of repeal and amendment of certain provisions of the Data Protection Acts 1988 and 2003, and establishes a Data Protection Commission to replace the Data Protection Commissioner as the national supervisory authority for the purposes of the GDPR. While the GDPR will be directly effective in Irish law once the deadline for transposition has passed on 25 May 2018, the GDPR allows the Member States a degree of discretion as to how they give effect to the GDPR in certain areas, notably in relation to data processing in the context of employment. the termination of the employment relationship. While the Bill as a whole will have significant implications for employers (as data controllers and/or processors) and employees (as data subjects), the following features of the Bill are of particular note from an employment law perspective. The Bill prohibits the practice known as ‘enforced data subject access', whereby an employer requires an employee or prospective employee to make a data subject access request, and to provide the data obtained on foot of that request to his or her current or future employer. Under the Bill an employer who requires an employee or prospective employee to make a subject access request, or to supply the employer with the data obtained as a result of such a request, in connection with recruitment, continued employment, or a contract for the provision of services, will be guilty of an offence. The maximum penalty for this offence is a fine of up to €50,000 and/or imprisonment for a period of up to 5 years. The Bill makes provision for the processing of ‘special categories of personal data' (currently known as 'sensitive personal data') in the employment context. The processing of special categories of personal data will be lawful under the Bill where such processing is necessary for the purposes of exercising or performing any legal right or obligation of the employee (as data subject) or the employer (as data controller) in connection with employment. This is subject to suitable and specific measures being taken to secure the fundamental rights and freedoms of the data subject concerned. The processing of special categories of personal data for the purposes of assessing the working capacity of an employee is also permissible under the Bill, provided that the requisite safeguards are put in place. The assessment must however be undertaken by or under the responsibility of a health practitioner or some other person who in the circumstances owes a duty of confidentiality to the data subject equivalent to that which would exist between an employee and a health practitioner. The Bill provides for the making of regulations with a view to restricting the exercise of data subject rights, provided such regulations are necessary for the purpose of safeguarding important objectives of general public interest, including that of protecting the health, safety, dignity and well-being of individuals at work against risk arising from their employment. In order to ensure that data are processed in a secure manner, employers are required under the Bill to take all reasonable steps to ensure that employees of the data controller (or data processor), together with any other persons at the place of work concerned, are aware of and comply with the relevant technical and organisational measures introduced for the purposes of ensuring data security. While employees who carry out data processing during the course of their employment are excluded from the definition of 'processor', an employee of a processor who discloses personal data without the data controller’s prior authority may be guilty of an offence. Further, employees may be required to provide documents or records relating to the processing of personal data to an authorised officer in the course of investigations by the newly established Data Protection Commission. This private members’ bill, introduced by Sinn Féin, provides that where an authorised trade union is granted a negotiation licence, an employer (or employer's organisation) must recognise the right of the authorised union to represent its members for the purposes of collective bargaining, including grievance and disciplinary issues. This Act provides for a restoration to the basic pay of public servants, and for the restoration of pensions payable to public service pensioners. The Act repeals the Financial Emergency Measures in the Public Interest Act 2009, and provides for the conversion of the pension-related deduction into a permanent additional superannuation contribution for all public servants who are members of a public service pension scheme. The Act also provides for the regulation of professional fees and other payments. This Act provides for the extension of maternity benefit and maternity leave in the event of premature births. New rates for maternity benefit, adoptive benefit, and paternity benefit are introduced with effect from 26 March 2018. These rules have been introduced to facilitate the operation of the Mediation Act 2017 in the District Court, Circuit Court, and Superior Courts. The rules, which came into effect on 12 January 2018, provide for the manner in which various applications are to be made to the courts under the Mediation Act 2017. The rules make provision for matters including applications for mediation, invitations by the court to the parties to engage in mediation, the adjournment of proceedings to facilitate mediation, the submission of mediator reports to the court, and the enforcement of the terms of mediated settlements. Disputes that are the subject of investigation and mediation by the Workplace Relations Commission will continue to be dealt with under the relevant provisions of the Workplace Relations Act 2015. These regulations transpose Directive (EU) 2015/1794 into Irish law by removing the exclusion of seafarers from the Protection of Employment Act 1977 and the European Communities (Protection of Employees on Transfer of Undertakings) Regulations 2003 (‘the Transfer Regulations’). Where a proposal to create collective redundancies concerns members of the crew of a seagoing vessel that is flying the Irish flag, the employer must notify the Minister for Employment Affairs and Social Protection. If the vessel flies the flag of another State, then the competent authority of that other State must be notified. The Transfer Regulations will now apply to a transfer of a seagoing vessel that is part of a transfer of undertaking, business, or part of an undertaking or business, if the transferee is situated, or the transferred undertaking remains, within the territorial scope of the Treaty of the Functioning of the EU. The Transfer Regulations will not however apply to a transfer which consists exclusively of one or more seagoing vessels.